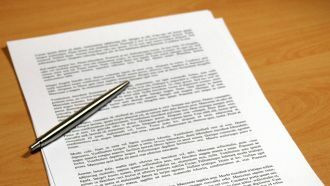 This case study summarizes a matter in which a window worker was killed while on the job, resulting in the filing of a lawsuit for negligence. It illustrates how toxicological interpretation of historical factors and application of peer-reviewed human studies can play a pivotal role in litigation. An experienced window washer working on a 7-story building unhooked his safety belt to enter the building through an open window when he suddenly fell. Landing headfirst on the concrete surface of the courtyard below, the man died on impact. A co-worker immediately called an ambulance but there was nothing that could be done. The two men had worked as partners for several years prior to the accident. The co-worker explained to police that the fall was sudden and unexpected and the man had not yelled out or screamed. 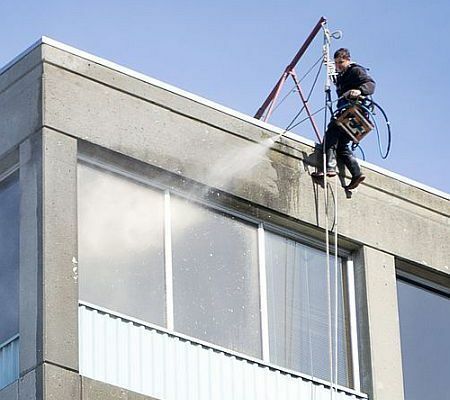 He was a highly skilled window washer and there were no apparent mitigating factors such as wind, water on the ledge or equipment failure. The deceased man's family alleged negligence on the part of the building owners and filed a lawsuit for damages. In view of the high settlement demand, attorneys for defendants retained Dr. Sawyer to conduct an impartial toxicological assessment. The postmortem examination was unsurprising, clearly indicating the cause of death as multiple blunt-force injuries sustained from the fall. Toxicological analyses, however, revealed a peculiar finding: a significant level of morphine was detected in his blood. The co-worker described the deceased worker as a "good-headed" man who supported his aging parents and a child. He never missed any days of work and was skilled at his job. However, the co-worker's deposition contained some odd revelations. At times, he had observed the man exhibiting peculiar physiological conditions on the job such as sweating, being flushed and disoriented. Although they had talked about it, the man made no complaints of nausea or pain and insisted that he was perfectly healthy. In the course of preparing a thorough toxicological assessment, Dr. Sawyer reviewed the sheriff's report, EMT report, medical examiner's report, autopsy analyses and available postmortem records. He also scrutinized the discovery depositions of multiple witnesses. Dr. Sawyer then obtained records of the man's medical history dating back some 15 years and uncovered information which significantly altered the character of his investigation: The man was a heroin addict. The records revealed that some 15 years prior to the accident, the man had begun using heroin. He had later presented to a health center to discuss substance abuse with a doctor and had been scheduled for out-patient detoxification, but he failed to appear for treatment. Ativan and a clonidine patch were prescribed which seemingly had a positive effect as the man insisted he had abstained from further heroin use. He was scheduled for further follow-up visits but was a "no-show" for each appointment. Several years later, the man appeared for follow-up for a gunshot wound to the left buttock at which time there were indications of continued heroin use. When the man later presented at the hospital for a testicular neoplasm, he finally admitted continuing his heroin use. Although in-patient detoxification was scheduled, he again failed to show up for appointments. He was prescribed clonidine, dicyclomine (for abdominal cramps) and diphenhydramine (for excessive salivation). Time and again the man indicated that he wished to beat his addiction, making appointments for which he failed to appear. This on-again/off-again pattern continued for years. No report indicated with certainty that his heroin use had ceased. Heroin is an opioid drug made from morphine, a natural substance found in the Asian opium poppy. At doses in excess of the therapeutic range, morphine can impair mental and physical abilities required for the performance of potentially hazardous tasks. These include driving, operating machinery or any physical activity involving purposeful muscular control. 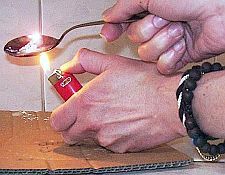 The toxicological literature notes that frequently observed reactions from heroin use include constipation, nausea, vomiting, lightheadedness, dizziness, sedation, euphoria and sweating. Significantly, heroin users can also experience clouded mental functioning and a sudden, unexpected state of semi-consciousness. The lawsuit alleged that the man was not intoxicated and that the accident was the result of negligence on the part of the building owners. Since no drug paraphernalia or drug-related items were found by the police or the medical examiner, Dr. Sawyer was confronted with a variety of circumstantial factors. These all required appropriate toxicological context to be interpreted and accepted as evidential by a court. In science, objective, generally-accepted, peer-reviewed facts are open to interpretation only in the sense that they may confound presumptions. Toxicology is based on the principle that various substances produce causative effects when contacted, inhaled or ingested. The degree and nature of effects are primarily determined by dose. 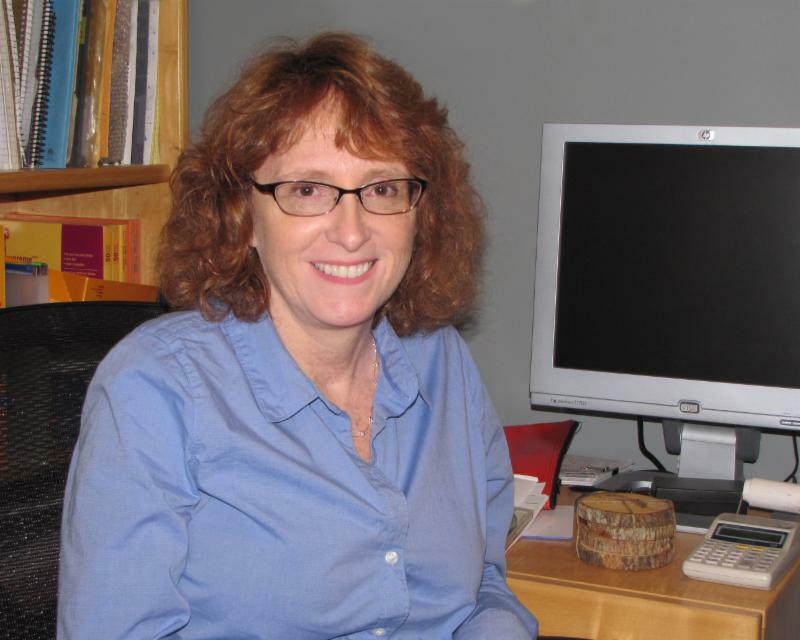 Although some heroin users develop a tolerance for the drug over time, Dr. Sawyer cited peer-reviewed studies demonstrating that significant cognitive and neuropsychological impairment remains present regardless of tolerance. A study by Bachs,1 et al., 2006, evaluated the relationship between heroin metabolites and impairment of psychomotor functions. Some individuals selected from a database of heroin users had morphine present in their blood and some did not. In the "morphine present" cases, 80% were impaired, but in the "not present" cases, 86% were unimpaired. This result clearly demonstrated the effects of psychomotor impairment with morphine present in the blood. The prefrontal cortex of the brain is a region responsible for planning complex cognitive behavior and decision making. A study by Bruin,2 et al., 2001, found that chronic heroin exposure impairs planning functions of the prefrontal cortex. This is a consequence of cumulative neuronal damages of prefrontal cortex and dopamine neurons subsequently demonstrated in experimental and morphological studies of opiate addicts who died after overdose. Plaintiffs contended that the presence of morphine was a result of ingestion of codeine or poppy seeds. Although the precise source of the morphine in the man's blood could not be identified with certainty, the forensic evidence and scientific method ruled out poppy seeds or codeine as sources. Based on the high morphine blood level, the man would have had to consume unrealistic (impossible) quantities of poppy seeds to achieve the morphine blood level measured at autopsy. Additionally, the specific codeine blood level measured 22.6 times lower than the morphine level, which is inconsistent with morphine converted from codeine administration. Although no drug paraphernalia or drug-related supplies were found, the morphine blood level measured at autopsy was highly suggestive of recent drug abuse. The generally accepted half-life of morphine is 1.9 + 0.5 hours with an effective concentration for surgical anesthesia of 65 ng/ml. The morphine level measured in this man at autopsy was nearly twice this concentration. Dr. Sawyer's written assessment presented to the court identified the sweating, dizziness and flushing as consistent with documented reactions from heroin use (as reported in the toxicological literature). It also noted evidence indicating heroin self-administration consistent with the history of an addict who had relapsed. Of particular interest were the findings regarding heroin's long-term cognitive impairment characteristics. The man's free morphine blood level was within range for significant impairment regardless of the degree of tolerance that he may have acquired. Dr. Sawyer cited human studies of heroin addicts which revealed significant neuropsychological and cognitive impairment critical to a worker's awareness of structures and distances while requiring precise coordination and accurate footing. It seems the man had managed to keep his heroin addiction a secret for 15 years. Based upon the available toxicological evidence, Dr. Sawyer offered the opinion that the man had self-administered heroin that morning and that his chronic heroin abuse had substantially contributed to his fatal accident. Soon thereafter, the case settled very favorably for defendant. Bachs, L. Hoiseth G., Skurtveit S., Morland J., "Heroin-using drivers: importance of morphine and morphine-6-glucuronide on late clinical impairment," 2006, European Journal of Clinical Pharmacology, 62(11):905-912. Bruin, EA, Gekht, AB, Polunina, AG, Davydov, DM, Gusev, EL, "Neuropsychological deficit in chronic heroin abusers," 2001, [Russian] Zhurnal Nevrologii i Psikhiatrii Imeni SS Koraskova, 101(3) 10:9. Expert toxicologist Dr. William R. Sawyer, Ph.D., provides forensic toxicology consulting services and expert testimony. 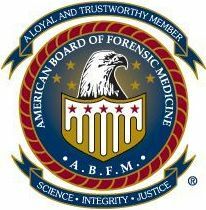 A Diplomate of the American Board of Forensic Medicine (D-ABFM), Dr. Sawyer has extensive experience in public health and forensic toxicology, specializing in causation analyses (plaintiff and defendant, criminal prosecution and defense), exposures and risk assessments involving dioxins, solvents, heavy metals, crude oil, alcohol, drugs of abuse, pharmaceuticals, herbal products, radionuclides, NORM and many other substances. TCAS provides a wide range of professional services including review of chemical, alcohol, pharmaceutical or radiological exposures within civil and criminal litigation matters. Clients range from individuals to multi-national Fortune 500 companies with a historical ratio of approximately 45% to 55% defendants and plaintiffs. Areas of expertise include alcohol intoxication assessment, intentional poisonings, homicides, occupational and community exposures to carcinogens, medical malpractice involving pharmaceuticals, pyrolysis products, heavy metals, organic chemicals, dioxins, drugs of abuse and many others. Forensic toxic exposure investigations include analytical protocol and referral of autopsy material for analyses. Environmental and occupational health risk assessments include site-specific assessments, dose measurement and causation determination. Final work products include scientific method references, method validation, forensic chain-of-custody and written reports. With offices in New York and Florida, TCAS has provided reports and expert witness testimony to multiple clients in more than 30 states. We routinely work throughout North America, Alaska, the Virgin Islands, Bahamas and Canada and internationally as far away as Hong Kong. Funmi Afelumo began working with Dr. Sawyer in March 2015. He is a graduate of the State University of New York College of Environmental Sciences and Forestry (SUNY-ESF) with a master's degree in Plant Science and Biotechnology. Graduate research involved increasing plant tolerance to toxic heavy metal exposures. Funmi has conducted research in the fields of phytoremediation and environmental health and safety since 2010 and has presented his research at several conferences including those for environmental health and biotechnology. 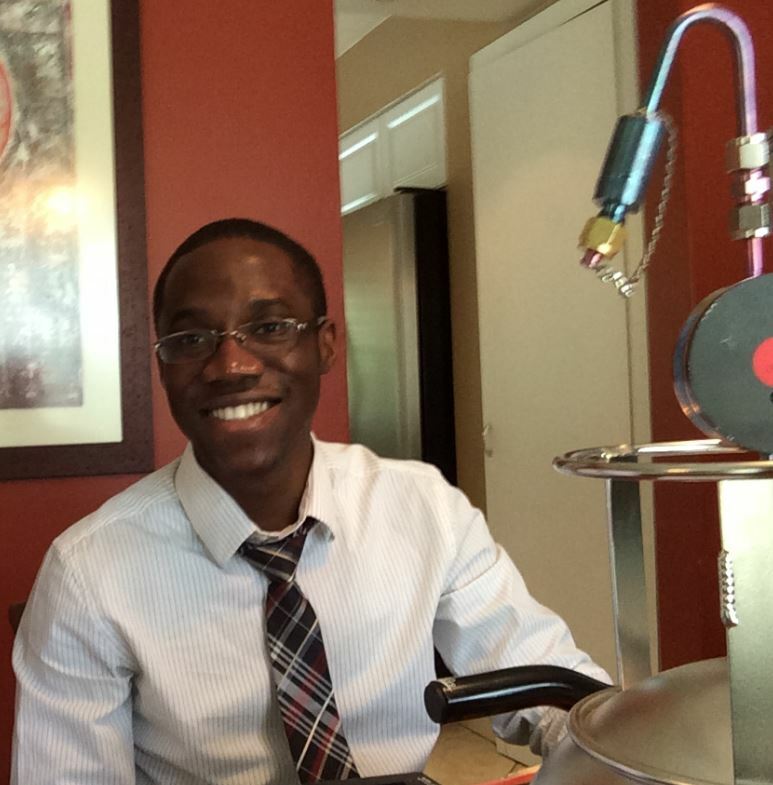 Funmi enjoys applying scientific reasoning to solving problems and improving our society. Jennifer Clark (Jen) joined TCAS in 2007. A master wordsmith with a legal background, Jen applies her exceptional grammatical skills to office management, report preparation and researching active cases. Jen loves a challenge and the fact that no two days at TCAS are alike! When not engaged in toxicological activities, Jen enjoys gardening, camping and spending time in New York's Adirondack Mountains, exploring the woods and lakes with her husband, Jim, and golden retriever, Gracie. Bonnie Serling joined TCAS in September of 2015. Her graduate research in microcirculatory hemodynamics at the University of Rochester earned her a MS in Chemical Engineering. Bonnie enjoys painting and home improvement projects. An enthusiastic problem-solver, Bonnie loves being a part of providing answers to the challenging cases at TCAS. Carol Sawyer serves as bookkeeper for TCAS. A dental hygienist by training and a graduate from Indiana University School of Dentistry, Carol had work experience in an accounting firm and has managed Dr. Sawyer's records since 1989. Carol enjoys preparing specialty foods, volunteering in her church and community, visiting barrier island beaches, reading and being outdoors.